I heard from a high school teacher who was impressed by the Tribune's package August 12 on getting into college -- "specifically a wonderful collection of winner college essays (perfect for teaching writing)." 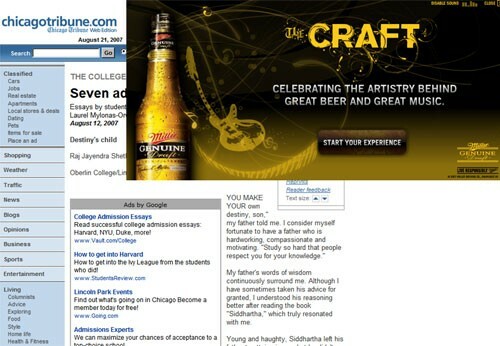 He went online to find the essays and make copies of them for his class and discovered "a big ad for Miller Beer on every page." He changed his mind about the project.